Facing criminal allegations in Phoenix or the surrounding area? Knowles Law Firm, PLC can help! We have more than 15 years of experience helping clients fight criminal accusations in a wide variety of legal practice areas. In the past, we have helped clients escape the serious legal penalties associated with drunk driving, drug possession, assault, domestic violence, trespassing, theft and other crimes. Through not guilty verdicts and case dismissals, Knowles law firm has helped a multitude of clients fight the accusations held against them, even charges of child prostitution, aggravated assault and shoplifting. Contact our office today and see what Knowles Law Firm can do for you. If you have been accused of DUI or another crime, you need an attorney that stands out from the crowd. What makes Knowles Law Firm different? Our true dedication to serving clients and giving them the best legal representation we can offer is what makes us different from other firms. When it comes to criminal defense, there is no substitute for experience. Our firm has more than 15 years of legal experience, let us put it to work for you. When you work with a lawyer form Knowles Law Firm, you can have peace of mind that a skilled, committed, compassionate and dedicate defense attorney will be by your side through every step of the legal process. When you have a top-notch lawyer on your side, you can have peace of mind that your case is in good hands. Whether facing allegations of disorderly conduct, arson, or another serious offense, an attorney from Knowles Law Firm, PLC can help you understand your legal circumstances, rights and options. With a clear understanding of your case, we can help you make the best legal decision for your future. Contact our office today; the sooner we hear from you, the faster we can begin constructing an aggressive and effective case strategy to get you the favorable case outcome you need. Knowles Law Firm, PLC, offers aggressive and effective criminal defense strategies to clients accused of drunk driving or other criminal offenses. As a criminal defense law firm, we have experience handling a variety of criminal case types, including DUI, child molestation, prostitution, aggravated assault, sexual abuse and domestic violence. If you're been accused, you need a lawyer with the dedication and experience to help. At the firm, we have accumulated more than 15 years of legal experience. Let us put it to work for you. When an attorney from our firm works by your side, you can have peace of mind knowing that a skilled legal professional will be there to help you through every step of the legal process. Hiring a public defender might seem like a good idea, but a criminal defense lawyer from our firm can give your case the attention to detail that it needs and deserves. Do you feel like the evidence is stacked against you? Remember this: an arrest and a conviction are very different. On the other hand, you may not see the point of hiring a defense attorney if you've been accused of a crime you know that you didn't commit. If convicted, you will be subject to the same penalties as everyone else. That's why our firm is committed to giving the accused the aggressive representation they need. At Knowles Law Firm, PLC, we have spent the last 15 years cultivating a trustworthy reputation. If you've been arrested for drunk driving or another crime, your freedom and reputation are on the line. That is why you need a lawyer with a proven reputation for excellence. When you work with our firm, you have the resources of former prosecutors and a former police officer on your side. We have a working knowledge of criminal prosecution strategies and are ready to use it to the advantage of our clients in court. Contact Knowles Law Firm, PLC today to see what a skilled Phoenix criminal defense lawyer can do for you. Facing a criminal allegation is never easy. If you haÃâ¢ve been accused of a crime, you may feel overwhelmed by the legal process ahead of you. After an arrest, you probably have a lot of questions: Will I go to jail? Is my case worth fighting? Can a defense attorney really help? These are legitimate questions with real answers. At Knowles Law Firm, PLC, we are dedicated to helping clients find that answers to these questions. Facing a criminal accusation is never easy; even if you know you are innocent of the allegations held against you, you will be held to the same penalties as anyone else. That is why our firm is committed to helping others through criminal defense representation. We believe that each client deserves the best advocacy we can offer and are wholeheartedly prepared to stand up in court and fight aggressively for their rights. 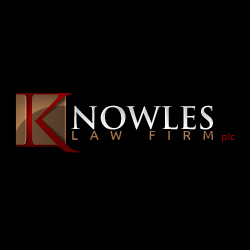 Over the years, Knowles Law Firm, PLC, has accumulated invaluable experience helping clients deal with serious criminal allegations. We have obtained numerous not guilty verdicts in DUI trialsÃâ¬Ãâ including extreme DUI cases. We have assisted clients in theft, drug possession, criminal damage, assault, aggravated assault and unlawful flight cases. Additionally, clients who work with our firm have the experience of former prosecutors and a former police officer on their side. We understand the ins and outs of criminal prosecution strategies and are ready to use this knowledge to help our clients in court. Armed with this knowledge, our attorneys can anticipate prosecution techniques and create effective and aggressive case strategies to help our clients escape serious criminal convictions. If you need an experienced legal representative on your side, contact Knowles Law Firm, PLC today. We can help you obtain the case outcome you need. After an arrest, you may feel hopeless. That iÃâ¢s why you need a criminal defense lawyer that stands out from the crowd. At Knowles Law Firm, PLC, we know what make us differentÃâ¬: our proven record for success and genuine dedication to helping people. If you haveÃâ¢ been accused of a crime, you need an attorney who truly believes that you deserve the best possible legal advice, assistance and advocacy. That iÃâ¢s what Knowles Law Firm, PLC offers each client the chance to fight serious criminal accusations with a skilled legal professional by their side through every step of the legal process. Our firm has spent more than 15 years cultivating a reputation for excellence in criminal defense. When your freedom and reputation are on the line, you need an attorney you can trust. That iÃâ¢s what sets Knowles Law Firm apart. Contact our office today to learn more about your criminal defense options or to see what the firm can do for you. Anthony Knowles is top-notch Phoenix criminal defense attorney. As such, he is licensed to practice in Federal Court and all courts in Arizona, including the Superior Court, Justice Court and Municipal Court. Attorney Knowles has more than 15 years of legal experience. As a former police officer, he is familiar with laws relating to criminal prosecution and criminal defense. Today, he uses his understanding of both sides of the courtroom to help his clients avoid serious criminal convictions. Additionally, Attorney Knowles worked as a legislative aid in the Arizona State House of Representatives in 1993. During this time, he was assigned to the House of Judiciary Committee and gained a valuable understanding of Arizona law when a number of criminal code revisions were passed that year. In the course of his legal career, Attorney Knowles has successfully handled thousands of criminal cases. His experience includes working with cases in all levels of seriousness and classifications. He is known for aggressively standing up for the rights of his clients and always striving to give his clients the best legal advocacy and representation he can offer. He has developed strong trial skills and always works to maintain involvement in the legal community and keep a working knowledge of past cases and recent court decisions. 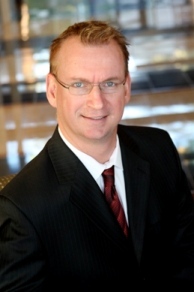 He is an active member of the Arizona State Bar and the Maricopa County Bar Association. Outside of the courtroom, Attorney Knowles is an active member of the local community as an ice hockey official. In the past, he worked for the NHL, IHL, WCHL and WPHL. If you have been charged with a crime, you need an attorney with the skill and experience to stand up and fight for your case. Attorney Knowles understands that stress and uncertainty of a criminal accusation. That is why he is committed to giving each case the personalized care and attention to detail that it deserves. To learn more about the firm and to see what a high-quality Phoenix criminal defense attorney can do for you, contact Knowles Law Firm, PLC today.